Carefully selected fresh pomace obtained from the pressing of the grapes in central Tuscany and steam distilled. The goodness of the marc and the process used has enhanced the quality of this product to be recommended to the attention of connoisseurs . 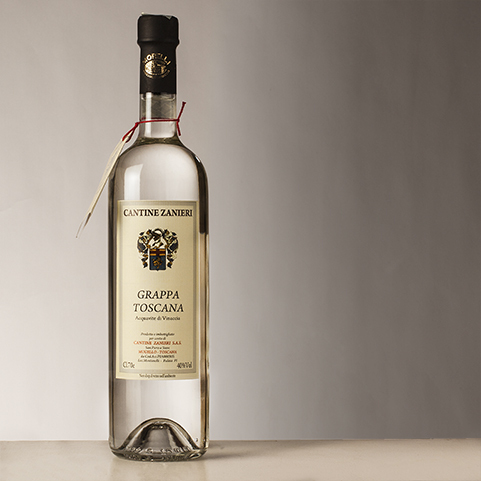 Crystalline appearance Zanieri's grappa is characterized by a flavor profile stimulating and persistent, giving an intense taste. Balanced with slighly fruity final sensations.